We don’t know what it means, but we’re excited regardless. After teasing fans, Frank Iero has revealed more tour dates for the folks in Peru, Chile and Brazil. 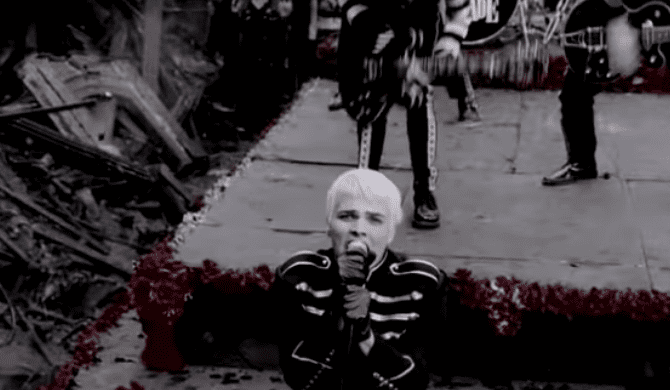 Come April, Frank Iero And The Future Violents will head to South America. Iero urges fans to check local listings for more information pertaining to the new dates. It’s only been a couple weeks since Frank Iero revealed his new band name, the Future Violents. As is the case with any new project, we’re patiently awaiting new tunes and more information such as a tour or album deets, and we might not have to do that much longer if Iero’s tweet is any indication. Read more: Did this photo inspire twenty one pilots’ ‘Trench’ album cover? Others are hoping for new tunes. And a Twitter poll has even launched to try to decipher the vague tweet. While others aren’t sure what’s going on, but they’re excited regardless. I’m excited! Idk what for but I’m still excited! While this could mean a number of things, we’ll just have to wait for tomorrow morning to find out. 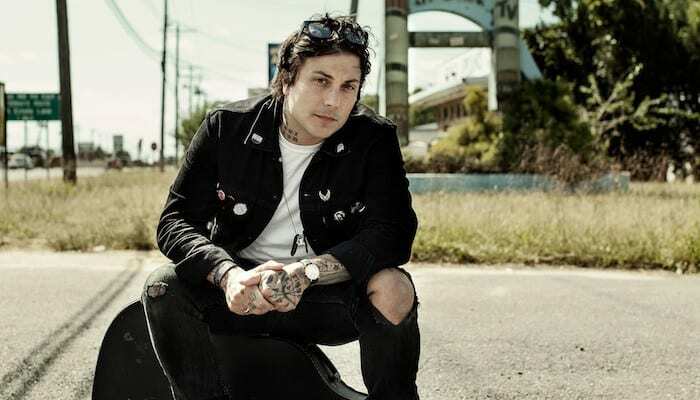 Iero first began teasing news of his new project in May 2018, where he posted some cryptic images. With it, he announced he had “begun work on the next chapter” and that he was working with surprise musicians he had wanted to work with for more than a decade. Soon after in August 2018, Iero shared a photoshopped image of his new band where their faces are obscured by Larry David. He added the caption “first band photo. (no filter) #FIATFV” setting off wild theories of what that hashtag could mean. Then, on the final day of 2018, Iero shared a video of himself writing out exactly what #FIATFV means: Frank Iero And The Future Violents. From a tour, new music or who is in the band with him, there’s so many options of what could happen tomorrow morning. What do you think the tweet means? Sound off in the comments below! Frank Iero And The Future Violents will be opening for Taking Back Sunday beginning in March. Check out their full list of dates below.